Twitter has announced that links shared on Twitter.com will be automatically shortened using the service’s t.co URL shortener. Links of any length will be cut down to a tidy number of characters — 19, to be precise — and an ellipsis when the sender clicks the Tweet button. Although each link is assigned a unique t.co link ID, the links will appear on Twitter as abbreviated versions of their originals so users always have some idea of where their next click will take them — a smart move on Twitter’s part given the number of URL-shortened spam or scam links that have made the rounds on the microblogging platform over the past year or so. It’s official. Twitter last night finalized a deal to buy TweetDeck, ending weeks of speculation. The two companies announced the acquisition Wednesday in separate blog posts. Terms of the deal weren’t disclosed. CNN.com reported Tuesday that Twitter was buying the maker of applications for the microblogging site for $40 million in cash and stock. Iain Dodsworth, TweetDeck Founder and CEO, insinuated in his blog post that TweetDeck staff won’t be let go because of the acquisition. Today’s news comes after weeks of speculation about potential future owners of TweetDeck. 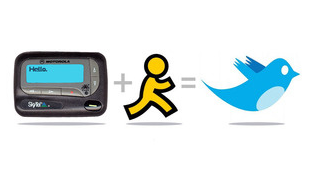 Before Twitter was public, it was just an AIM hack on Jack Dorsey’s pager. Twitter founder Jack Dorsey had a background in messenger culture. He had even launched a dispatch software startup called D-Net, back in 1999. He was also captivated by his friends status messages on AOL Instant Messenger. He wanted to combine the two. And in an era when AIM was king, he did just that. In 2006, when he was working for Evan Williams at Odeo, Dorsey resurrected the idea. He combined the timeline aspects of LiveJournal with the status updates of instant messenger and the concept of dispatch software that delivers them all remotely. Boom. That’s Twitter. What is a “retweet”or “retweeting”? Have you ever received an interesting email and forwarded it to your friends? You know, like a funny joke or a breaking news item that you thought would be of interest to your friends so you hit the “forward” button on your email client to pass that message on. That’s kind of what “retweeting” is except in this case it applies to Twitter messages rather than an email. Why bother to RT [Retweet]? Passing on of interesting message across circles. The originator @username more exposure. You establish yourself as community/social person. If you retweet good content, you spread goodwill to your followers. this increases the retention of your followers. Every time you retweet, the originator is notified of your message. Meaning, the person being retweeted will get the message in their “@ replies” inbox. This will increase the chances of the originator following you (if they are not already following you) or they may very well return the favor and retweet some of your more interesting tweets! The majority of Twitter users are accustomed to “retweeting” important news items to a point where news is spread very quickly from the original source to the entire Twitter community. For example the Tsunami news and the Mumbai bomb blast or the Mumbai Train blast news. It was all over Twitter before it actually made it to the news channels. Apart from this if you can tell of any other advantages of RTs please leave a comment. From #meawmonday to #sinnersunday – Importance of Each days for Twitter lovers.. When I joined twitter i was Petrified about HASH # about FF about followfriday shoutouts and etc. I wondered what is the whole story about. When we tweet anything we can put a HASH (#) to the front of a word and encourage others to add it to their tweets about the same topic. That is the whole secret of Tweet with a Hash before important words that are the possible searches from other tweeples. Lets go ahead with the importance of Each days for Twitter lovers..
1. #meowmonday – If you’re an animal lover or have any kind of pet or cat-related Twitter account, this is the one for you. 2. #musicmonday – Quite possibly one of the most fun Twitter meme days. Tell people what you’re listening to, or hook Twitter into your last.fm or blip.fm. The meme also has its own Twitter account,@musicmonday. 3. #followmonday – Created by @warmyellowlight, #followmonday is just like #followfriday, but why wait all week for Friday to come around? 5. #monkeymonday – A way to enjoy your Monday by posting pictures, videos, jokes and stories about monkeys. Users also promote their funniest Twitter Friends. 6. #followtuesday, #twittertuesday – #followfriday for Tuesdays. 7. #nopantstuesday – Appears to have originated from the eighth annual no pants subway ride, a prank where New Yorkers and some in other cities ride the subway without pants. 8. #wonderfulwednesday – Best wishes for the middle of the week. 9. #woofwednesday – If there’s a meowmonday, might as well get all your dog loving Twitter friends in on the action. 10. #followwednesday – #followfriday for Wednesdays. 11. #healthyhumpday – Created by @goodhealth, #healthyhumpday is like #followfriday for health-related Twitter accounts and links. 13. #winewednesday – Twitterers discuss their favorite wines, ask questions, and provide advice. NEW ADDITION: #Women2Follow – Every Wednesday, recommend women to follow on Twitter. Started byWomenWhoTech. 14. #rtthursday – Thank your retweeters in style. 15. #followthursday – #followfriday for Thursdays (but oh so close). 16. #thankfulthursday – Tell others what you’re thankful for. 17. #shabbatshalom – Created by @JewishTweets, #shabbatshalom is for the Jewish tweeps out there, offline until Saturday night. 18. #leadfriday – Tired of following? How about being a leader? 19. #goodnewsfriday – Good news comes on Friday. Bonus: #followfriday – Created by @Micah, #followfriday is the original Twitter daily meme. You can read more about #followfriday here. 21. #caturday – Cat + saturday = caturday. Sort of like #MeowMonday. 22. #wkendthx – Created by @MichDdot, #wkendthx is a follow up to #followfriday, or if you missed thanking your tweeps on Friday. 23. #sinnersunday aka #sinday – typically cataloging people’s excursions instead of going to church. 24. #samesexsunday – Recommend people in the LGBT community to follow. Tweeting is an ART. And it needs dedication and commitment. I came across some wonderful Twitter Applications which I used myself and loved them. I am sharing the same to my readers. If you want to know who is following you and who is not, this solution will give you the chance to do that in a very simple way. In addition to this, you will have the opportunity to manage and administer your Tweeps. If you want to track others’ popularity on Twitter as well as to have the chance to get access to a highly effective way to manage all your Twitter followers, take a look at this site. It deals with the most hyped stories from social messaging utility. A screen into the greenhouse of world-shaking linkage and chatter. If you want to know how much influence you have on others. Who are your top twitter buddies. Find new friends with same interest who are active. Amazing site with great insights. This deals with out Usage of ”words”. What Do we like to use more often. How many tweets we have per day, the social ratio’s, hasttag ratio etc. This is also one good site which deals with Impact percentage, influence, Generosity, Clout and our Engagement. A good input site. Helpful for us to be better Twitter Users. If you want to keep track of a particular word or hashtag. Just name it here and Schedule it. And you would love to track the results. This is one hell of an amazing site. There are soo many things that could be managed here,Groups, networks, friends. “TwitTangle is a free service that helps you untangle the mess of having to many friends on twitter. They allow you to rate and tag your friends and then filter your timeline to help you easily find the tweets that are most important to you! This tool lets you rate and tag your friends and filter them on a timeline! You can also create custom groups of your followers and filter you timeline by that group. Find out who does not tweet often and you can remove them on your choice. This is yet another tool that will help us automatically unfollow all the inactive accounts based on when their last tweet was, and help you save your follow number. So just register and it will display people whom you follow and the friends of those people and fans of them. It is handy as you can sort of people according to the numbers of followers they have. It finds out all the re-tweeted stories and grades on the number of re-tweets. It is a good site to know your rank!. Find out which Tweet made you popular and which one un-popular. Find out what people like in you and what they dislike. Make sure once you check the site you are on English Version. Finding out common users between two accounts. Try 2 powerful users and then you can figureout whts the inside story. 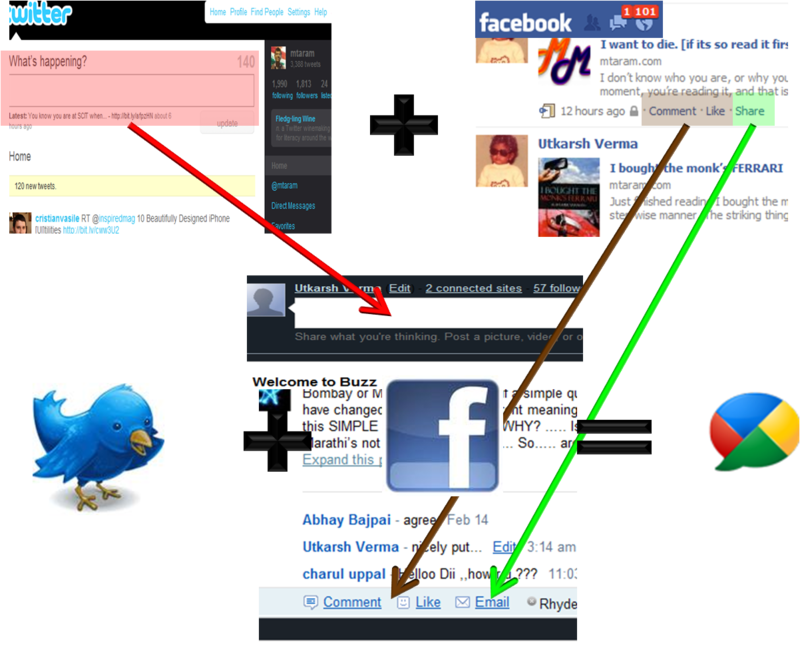 Try more than 2 accounts and you know whts in real going inside Twitter mentioned People. Do give it a short. It’s a good application. Twitter is HUGE and yes it really is. With more than 600 tweets per second it becomes very difficult to find the information of your taste. To overcome this limitation the Twitter community came up with a novel idea of #hashtags. If you are unaware of #hashtags we have it explained over here. These #hashtags also gave birth to the trends on Twitter. The number of times the hashtag is repeated in tweets represents its trend. #Hashtags.org shows the latest trends on twitter and also allows you to search for a word and see its trend graph on Twitter. To know what a #hashtag is about or two define your own for the public you can visit WTHashtag.com. This site is built upon wiki technology, making it easy for visitors to create their own definition entries for certain hashtags. Here’s one I created: #Mtaram – we use this hashtag when we are sharing news about something cool, new or innovative happening on our Blog. There are various websites and tools that you can use to track trends on Twitter. Track trends on particular topics or people. The display is in graph form and can be useful in mining data for particular projects. If someone is talking about a topic you have great knowledge of the subject then it might just provide you an in to make an introduction. This is another Twitter trend timeline updated in real-time. If the timeline moves too fast for you or you don’t like the color, you can change the settings to suite your preferences. And Last but not the least is What the Trend? Try all these cool tools and let us know of your response. And if you happen to know any cool tool that we have missed please mention it in the comments. What does this hashtag stand for? It can be as difficult for Twitter veterans as it is for a newbie to make out what the hashtag stands for from the tag itself. While people are still busy finding the most efficient way to do it use the following to make your way through. Tagalus: Tagalus is a simple dictionary for hashtags. It’s very easy to find information on thousands of hashtags as defined by other users. Twubs: Uses a wiki system to help disseminate information on a hashtag. It aggregates tweets and imports pictures to help illuminate the topics being discussed. Hashtags.org: While not the best at helping you understand the meaning behind a tag, Hashtags.org is good at showing you its use over time and recent tweets, which oftentimes is enough to figure out the meaning behind the tag. What the Trend? : This useful little service makes it really easy to learn about trending hashtags. When something starts trending. Tracking the Twitter world via the hashtags. If you are a journalist, marketing pro or just an individual and like to track the topics of your interest, you can do so via the hashtags. Monitter and Twitterfall are good choices recommended by Mashable to do so. If you need to track a less popular Twitter hashtag, try setting up a Twilert to get a daily email of the use of a specific hashtag. Is it really that simple to understand and use? Use them don’t abuse them. If you make every word of your tweet a hashtag then firstly It doesn’t look neat and secondly it doesn’t make sense. It’s just like copying pasting the whole webpage in the keywords field. Give your hashtag context. Most people won’t actually know what your hashtag means, so give a quick explanation in one of your tweets or, if you’re making a hashtag, make it very apparent what it’s talking about. Be specific and use specific tags instead of generalized words. I guess that would be end of the gyan from us. We would like to know from you all how you have used hashtags to make the most out of your tweets. Do leave a comment. 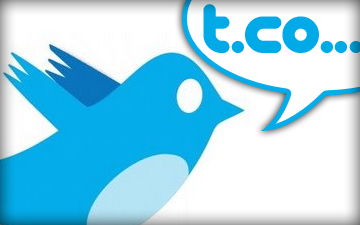 TOP Twitter ranking Sites: Whats your rank?. Ranking or percentile and the confidence is truely opposite. Lol . The percentile means that my account is “better” than a certain percent of of other Twitter users… but, not to worry, the algorithm has only very low confidence in the score. Seems pointless to use it. Even after clicking the “Crawl My Stats!” button, nothing is updated. They seem to base the rankings solely upon the number of followers you have, which can be a factor if you’re up there, or can really not make a difference if none of your followers are active – or, uh, human. Apparently my “Twitin” score on BuzzOm is amazing. Under the FAQ section, they describe the score as “a measure of your social activity in Twitter. These are calculated using simple behavioral model of the user. This has been tested among 2 lakhs users.” Huh? What is a “lakh user”? (This seems to be from an overuse of Google Translate, perhaps.) Thankfully it’s gone into more detail in the next question, and says it takes in consideration a user’s retweet, tweet efficiency, and influence scores. Tweefight is actually kinda fun, and doesn’t give an official ’score’. Tweefight compares you to another Twitter user and you go head to head to “fight” it out. What is it basing the fight results on? “Tweerank,” which claims to be made up of any factor you can think of (i.e. a user’s involvement, followers, updates, etc). Who cares? It’s still fun. Not much explanation, but considering they first display my amount of followers, how many folks I’m following, and how many total updates I have, these are likely the deciding factors. This gets me to thinking, what if a company, that knows nothing of social media, looks to hire an ‘expert’ and uses their Twitter account ranking as a deciding tool? Well, that means so many of these wannabe “social media experts” will be getting jobs, without knowing how to get the results for clients. Would that make them con artists, spammers, or just ignorant? On Twitter Score, there are two different ranks/scores listed. No explanation provided for either number, but there is a nifty little graph of followers/friends available. Useful? Not without a shown method to how it calculates scores. They calculate followers, plus second-degree followers, to come up with your ‘reach’. So apparently if my ‘reach’ is to 100% of the Twitterverse, which means that if I Tweet something with great impact, that Tweet could potentially be seen by all Twitter users. They also somehow calculate the constant growth and the individual influence of your followers, so that apparently works into the score – though it doesn’t say which. Let me stop laughing first at a few of my friends that are “nuclear” to follow. Okay. It is seemingly useless, but so much fun. FollowCost lets you know how annoying it will be to follow any given Twitter user, based upon the average amount of Tweets they make per day. If they update too much, the screen shakes (well, the browser screen) with a graphic that says “Nuclear Follow Cost,” meaning don’t follow this person unless you’re obsessed with them. I use it personally . The ranking is based upon the total number of followers along with the ratio of your following. Also checks how many have subscribed to your updates, amount and pace of updates, and how engaged you are in tweeting. Amazing feature is it can take you to elite function wherein , Twitter Grader ranks you based upon your location. First on the line was The Facebook, which had started as a web based yearbook for schools and colleges. They tried to match the birdies features feather by feather and also added in some more colorful feather from Raven of likeness and commenting. They came up with a book which allowed you to write messages in themagical cyber ink and those messages automatically appeared on the pages of your friends books as if by magic. While the birdie was busy delivering updates to people and the book was overflowing with likes and comments some one was watching the birdie fly high and Facebook spread worldwide through their wonderful goggles riding their own wave of happiness. But some flaw in their surfboard didnt allow them to qualify for the race. But these people, the cool people, they are too good and believe me they really are. If you have seen a computer and haven’t heard about them then you must be some ALF [read Alien Life Form]. These people with colorful shaded have always been following the funda of getting the intel from the successful people if they are behind schedule. They did this the very first time for their most succesful Ad based revenue model of the wolrd till date. [If you still havent got it, we are talking about Google and Overture.] Now we have tried to make a crude model to show you all that how they did it. They took the best pieces from everywhere and made the huge <ding> ahh … The Buzz. This buzz allows you to post to lenghts that make you happy, seriously way large post compared to 140 of our little birdie and 420 of the Book and the best part is you get it delivered in you inbox. This is just the begining and as someone had said that this internet will change the way the economies work, markets dictate terms and people interact with each other. We guess the time has come for us to witness a new phenomenon. Lets all wait and watch and we at MtaraM would be bringing you more from The Birdie, The Book and The BUZZ.